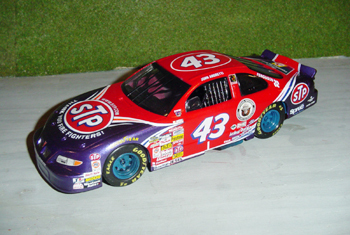 # 43 STP/ 1972 which John Andretti drove during the SAVE MART/KRAGEN 350 at Sears Point on June 2000. 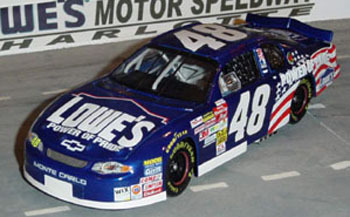 # 48 Lowe's / Power of pride which Jimmie Johnson drove during the ' PENNZOIL FREEDOM 400' at Miami -Homestead on November 2001. 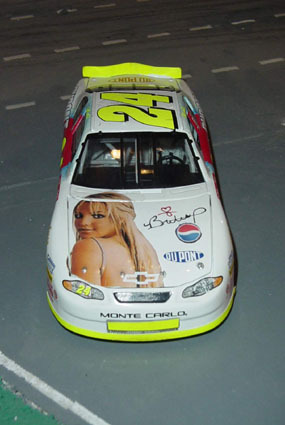 # 24 DUPONT /PEPSI /BRITNEY SPEARS 2002 . 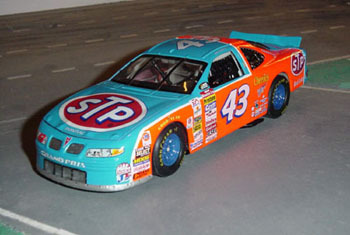 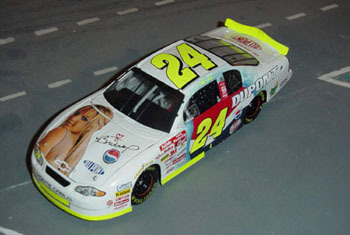 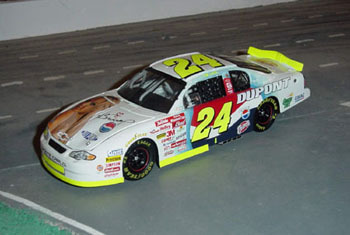 That car has never existed but during the off- season 2001/2002 , a gossip told us a chevy PEPSI /BRITNEY was supposed to run at TALLADEGA for the April race .Unfortunaly , it never came true . 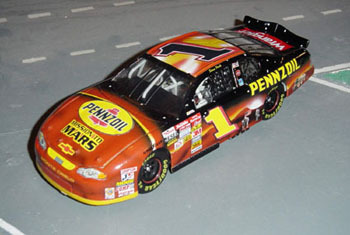 Here , is how it could have looked like . 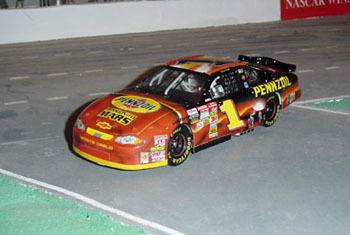 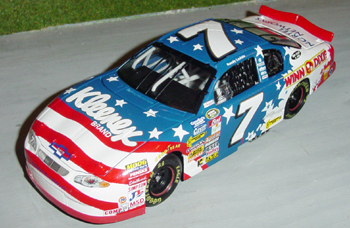 # 7 kleenex/ winn-dixie chevrolet which Randy Lajoie drove during the busch race at Daytona on July 2002. 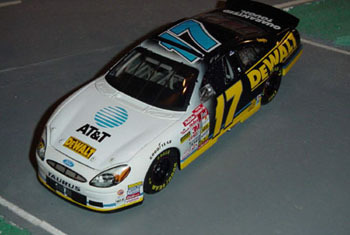 For this car , I've utilised the # 7 kleenex 2001 SLIXX decals. 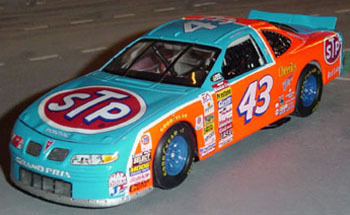 # 21 citgo / 1960 paint scheme which Elliot Sadler drove during the ' PEPSI 400 ' at Daytona on july 2000 . 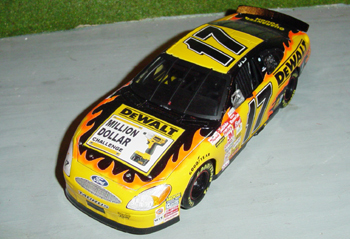 # 17 dewalt / million dollar challenge which Matt Kenseth drove during the ' Bud shoot out' at Daytona on february 2003 . 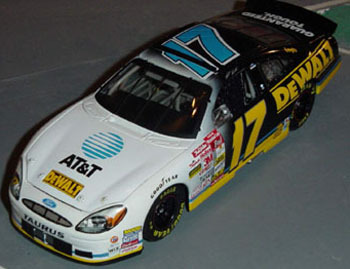 For this car , I've utilised the # 17 2001 rookie of the years SLIXX decals. 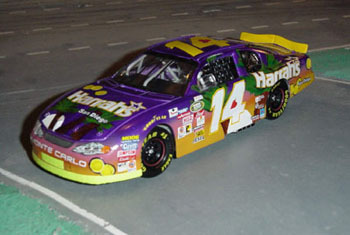 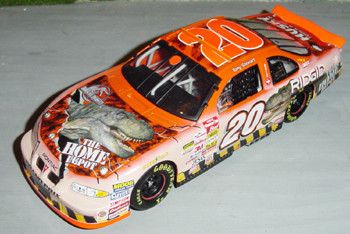 # 20 home depot / jurassic park III which Tony Stewart drove during the ' PEPSI 400' at Daytona on july 2001 . 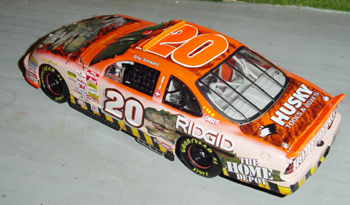 For this car , I've utilised the # 20 home depot standard 2001 SLIXX decals. 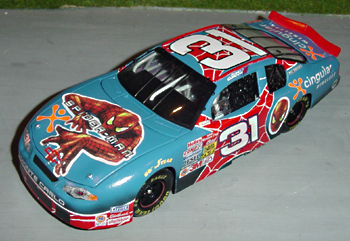 # 31 cingular / spider man chevy which Robby Gordon drove during the ' PONTIAC EXCITEMENT 400 ' at Richmond on may 2002 . 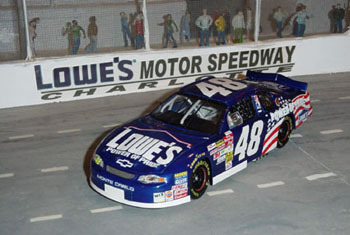 For this car , I've utilised the # 31 lowe's 2001 SLIXX decals and the # 31 cingular 2002 SLIXX decals. 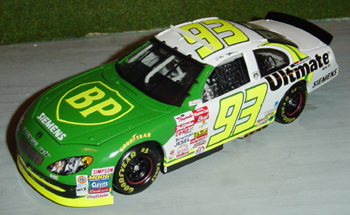 # 93 BP / ultimate dodge which Dave Blaney drove during the ' EA sport 500' at Talladega on october 2001. 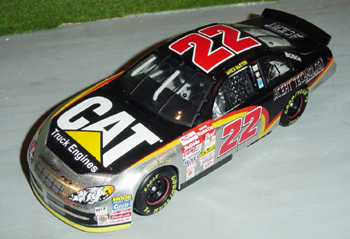 # 22 caterpillar / acert which Ward Burton drove during ' THE WINSTON ' at Charlotte on may 2003. 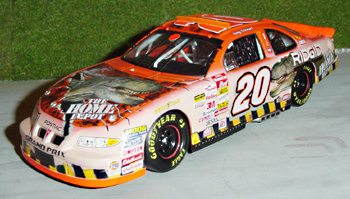 For this car , I've utilised the # 22 caterpillar 2002 SLIXX decals. 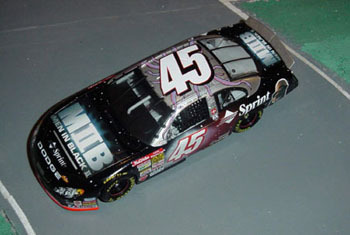 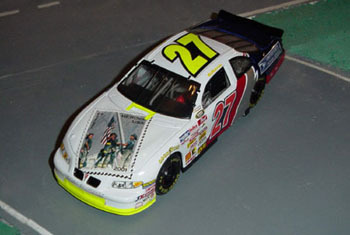 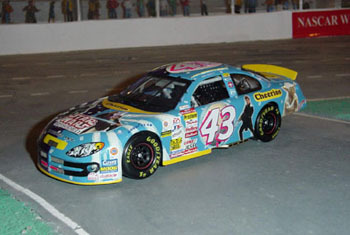 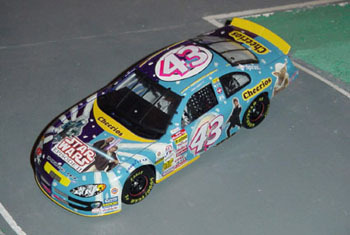 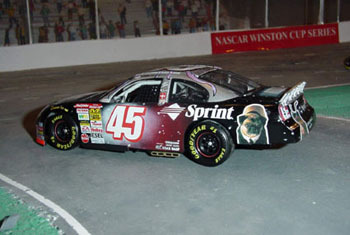 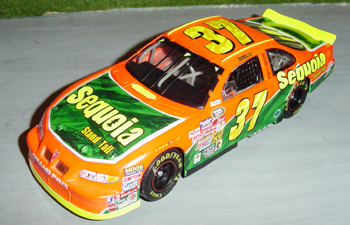 # 37 sequoia pontiac which Kevin Lepage drove during the busc race at Daytona on july 2002 . 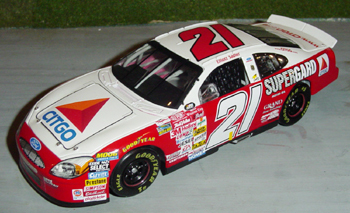 For this car , I've utilised 02 grouped contengency sheet SLIXX decals and the 02 stock car goodies sheet SLIXX decals .